Bastet is the eleventh sign in Egyptian astrology. In Egyptian mythology Bastet is known as the cat goddess and the goddess of pleasure. She is pictured with a cat or a lioness head with the body of a woman. She is also known as the goddess who protects women and fertility, as well as love. She was known as the protector of lower Egypt. People born under this Egyptian horoscope sign Bastet are always searching for balance and peace. They love to be surrounded by peace and seek it out in all of their relationships. They avoid confrontation and stressful situations. They are natural introverts and prefer quiet surroundings to loud, chaotic crowds. They have strong intuitive senses and may even be psychic. They can see the true motives of others and can see situations clearly. Their intuition lets them see others for who they truly are and what their true motives are. The Bastet people have charming personalities and love to enjoy life. They surround themselves with things that are pleasing to them. They intentionally seek out happiness and joy in their lives and are inspired by music and the arts. They put the needs of others above their own. In romantic relationships they are loyal and devoted partners. They are very emotional and sensitive, but are also fierce protectors of those they love. They are affectionate and love to mother those they care about. This Egyptian Goddess sign Bastet are mysterious and are attracted to the mysteries and the occult. Their strong intuition and insight into things gives them an edge and contributes to much of their success. They may be attracted to careers dealing with the occult or metaphysics. The Bastet sign’s desire for quiet and solitude can lead them to be hermits. They may isolate themselves from others. When they truly need help they may have a problem asking others for it. They love to be self-sufficient, but can sometimes block out others who can truly be of help to them. The Bastet Egyptian astrology sign can be very clingy and possessive in relationships. They can also be overprotective of those they love. They may have a hard time trusting people who are not already in their circle. They can also smother the people whom they love. This may cause them to have problems in their relationships. Although they are very supportive of others, often lending a listening ear, they will not share much of themselves with anyone. They can hold on to past memories and have a hard time letting go especially after a relationship has ended. They let their memories of the past hold them hostage and stop them from moving forward. This can lead to becoming moody and depressed. While their senses are good, they can be easily influenced by others with a stronger personality. They are sometimes too trusting of others and their nice personalities make them a target. The Bastet zodiac sign are very sensitive and emotional and others may sense this and try to take advantage of them. The Bastet Egyptian zodiac sign put the needs of others before their own. They love to make others happy, but they can do so at the expense of their own happiness. This can lead to them having many unaccomplished goals and desires for themselves. This will lead to a feeling of dissatisfaction, depression and stress. 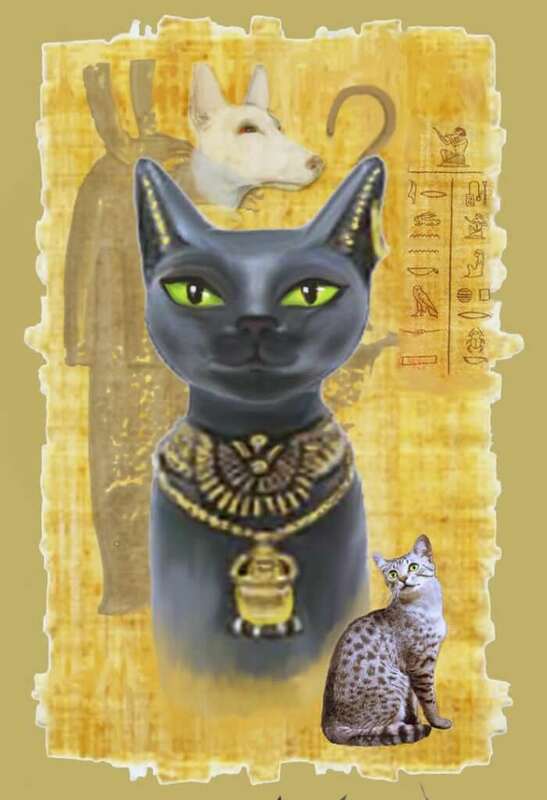 The lucky colour for the Egyptian goddess Bastet sign is Yellow & Grey. The sacred animal for this sign is the Cat. This Egyptian sign is compatible with the Sekhmet and Horus signs. It is of a cat headed woman. The associated zodiac sign is Cancer. The polarity for Bastet is Feminine. Wow! Spot-on for me! I am psychic and medium, too. What exactly do careers in the “occult and metaphysics” mean?